We will be helping you figure out how to know android phone full specifications. The internet is full of information. Information about so many things. All you have to to is just hit the google search engine and i bet you will find something relating to what you are looking for. But it advised to take those information with a pinch of salt. Why is that ? Because sometimes these information you get on the internet might be false. Although, sometimes it might also be true. Be that as it may, we often depend on the information we see on the internet to make certain choices on which phone to buy or not. Even after getting the device, there is still no inbuilt way to check the full specifications of the phone to know if we actually got all we wanted and also know it’s full capability. While things like RAM, Screen Size, Battery and Processor Type might or might be written on the case of the phone. Other specifications like screen density, Real dimensions, real weight, Real battery type like Li-on or Li-Polymer etc are not written on the case. These kind of specifications might not be important to some, but for some tech inclined ones like myself. We would always want to know the full capability of the device we are using. Thankfully, there is an app called CPU-Z on the Google Play Store that can show you everything about your device. Starting from the basics like screen size, RAM, ROM to in-depth specs like the codename of your device. Your GPU vendor, GPU renderer, every sensors available on your phone and so much much. ⚫ SOC(System On Chip): Things Like name of the chipset, How many cores, architecture, minim and maximum clock speedz etc. ⚫ Device: Names of Device, Brand, Screen Size, Screen resolution, Screen density etc. ⚫ System: Android Version, API Level, OpenGL version, Kernel Version, Root Access etc. ⚫ Battery: Battery Health, Battery Level, Power source, Battery Capacity etc. ⚫ Thermal and Sensors: Gyroscope, Proximity, Barometer etc. Each category is packed with respective information about the device. There are so many other apps you can use to check your phone full specifications on the google play store. But I always prefer the CPU-Z App which is Lightweight With just 2MB, Making it easy to download even over a 2G network and does not eat up your data. You can Download CPU-Z or Alternatively You can search “CPU-Z” on the Google Play Store and Download. ⚫ Android 2.2 and above. ⚫ Launch The Already downloaded CPU-Z App and Let It Load and Gather The Necessary Information. ⚫ After Loading, You can click on each categories one by one to see the Full Specifications Of your device. 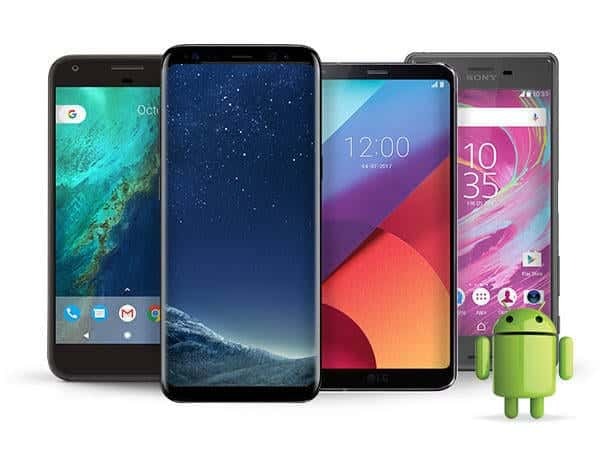 Learning how to know android phone full Specifications might come in handy when you see a friend using a phone you like. Instead of going online to get half-baked specifications on the device. You can simply Download the CPU-Z which does not have a lot of MB. Check the specifications on your friend’s device just to know what you are getting. If you like it then you can now go ahead and buy the device. Let us know in the comment section below if you would be checking your phone specifications with this app.